Andron will be known to some members of the British climbing community, as he was a member of the BMC and Alpine Club for a number of years during his residence in the UK as a philosophy lecturer and tutor at the University of London. Pogacean is a civil engineer and also a talent female mountaineer; couple of years ago the two spent their honeymoon attempting a new route on Bhagirathi I in the Gangotri. Andron and Pogacean organized a lightweight, self-funded trip with two Indian friends to an area of mountains south of the Padam road that had been visited previously by an elderly Japanese team led by explorer Kimikazu Sakamoto. Sakamoto has organized a number of trekking trips into the region's various valleys in order to document their mountains, both photographically and by the production of sketch maps that will benefit future mountaineering parties. The many unnamed, unclimbed mountains have been coded with letters and numbers, hence T13 and T16, the two peaks that formed the objectives for the Indo-Romanian group. Sakamoto's work has led to a number of peaks being climbed over the last few years, primarily by British, Swiss and Japanese teams. However, most have tackled the mountains by their easiest lines. After the four made an acclimatization attempt on 6,436m T13, thwarted by the unexpected complexity of the terrain, Andron and Pogacean turned to the southwest face of T16 opposite, which was split by an elegant snow couloir leading to more technical ground. From a high camp at 5,200m the pair climbed swiftly up the long snowy section of couloir, finding relatively straightforward conditions with a couple of short steps of 75°. When this ended with a constriction and an unpleasant seven metre section of polish rock and rotten ice, they began to get an inkling of what was to come. Above this, with the sun now moving onto the face and causing rockfall, the climbers quickly found a sheltered bivouac spot and stopped for the night. Next day they continued up more moderate ground interrupted by two long crux pitches. The first, 60m of steep poor ice, was followed by a difficult poorly protected mixed pitch of the same length. After a second bivouac they left most of their gear and above a few initial wet pitches over relatively good rock, ended up moving left onto a beautiful rock face. 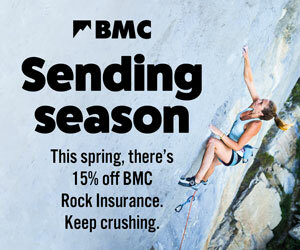 On dry granite, in the sun, they were able to climb in rock shoes, and as they progressed higher they began to enjoy some of the best rock climbing that either had done in high mountains. Passing a false top and continuing via an arête, they reached the south summit in late afternoon. The north summit was at least a kilometre away along a pinnacled ridge. With no idea which was the higher top (the mountain is designated 6,431m by the Indian Mountaineering Foundation) they called it quits there. Rappelling and downclimbing the route, they eventually walked onto the glacier in the middle of the night and were back in base camp holding a hot mug of chocolate at 3 a.m. on their fourth day.